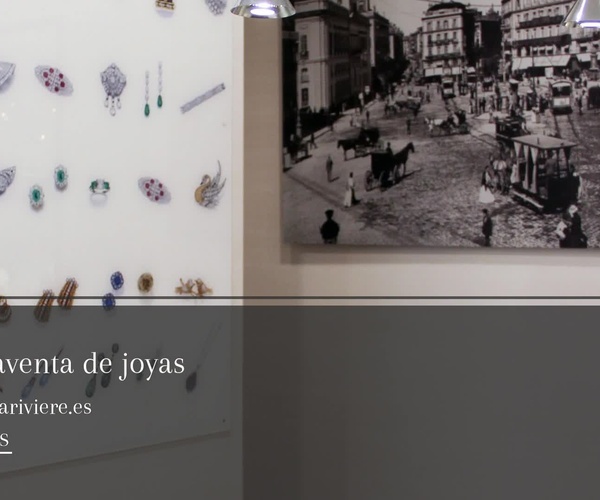 Jewels used in Madrid centro | Rivière Joyeros, S.L. All the jewels hide their history behind and they become that "something" so special for each one, our little treasure. It is not just a ring, nor is it a chain, it is something that we carry day after day and make it our own. In Rivière Joyeros S.L. 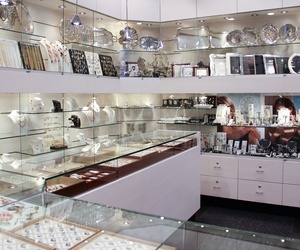 we are dedicated to the sale of all types of jewelry and watches of the most recognized brands in the market. Are you looking for a detail to surprise? Or that alliance with which to have that yes, I want! What will change your life forever? So, let us tell you that you are in the best place to find what you need. From rings, chains, pendants, bracelets, to period jewelry and decorative objects, all of 18 carat gold and sterling silver. But our activity does not end here, we still have a lot to tell you. 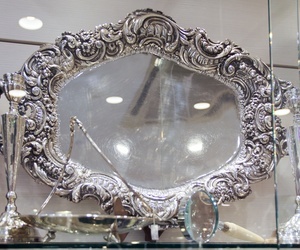 The valuation of jewelery is another of our specialties, as well as investments in diamonds. 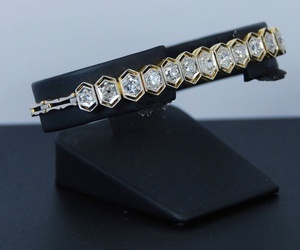 And as if that were not enough, we have our own workshop for restoration and repair of jewelry, nothing to stop wearing what you like so much because it breaks or wear. We can not forget about the manufacture of orders, special designs and business gifts. To elaborate a jewel, since the idea is born until it becomes reality, requires a lot of work and care, and here we take care of even the smallest detail. 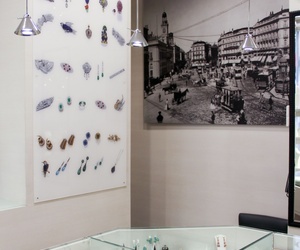 Since 1999, we have been in the world of jewelery, our great passion, and this is evident both in the quality products we offer and in the personalized treatment and service we provide to each of our clients. And what about our team of professionals! Thanks to more than 20 years of experience in the sector, they know perfectly what you need right after seeing you. We are in the center of Madrid, more than willing to offer you just what you are looking for. Welcome to Rivière Joyeros S.L.